Maheeda has a word for her haters. 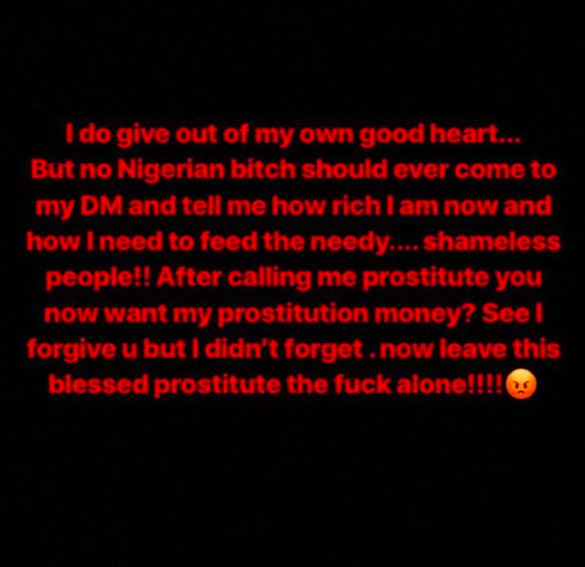 The Nigerian nudist who is famous for teasing and posting saucy photos has addressed those who condemn her publicly but secretly slide into her DM to beg for money. She is on Instagram bashing them with her latest post. Whoever thought that Maheeda could be bothered about criticism... World people... they openly bash you then secretly beg for help when no one is looking.